Once I decided to take blogging seriously, I was amazed at the amount of knowledge that I need to have to be successful at it…a serious rabbit hole! One thing that is very important right now for all businesses is connecting with their ideal audience and then being able to find a way to connect with them again. Today I am going to share a really cool way to connect with your audience and entice them to subscribe to your email list so you can serve them. 1. generate leads- Many people love to take quizzes to learn more about themselves. 2. drive sales- As your ideal client is taking a quiz, you can recommend your products to them. 3. grow social reach- Quizzes are easy to share on social media and many people like to share their results with others. 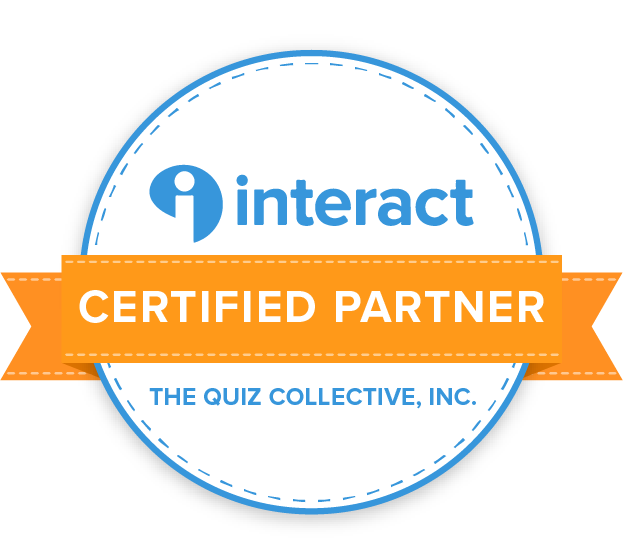 The Interact Quiz platform is well designed and easy to navigate. Here is what it looks like once you have created an account and are ready to make your first quiz. If you choose to use a template already made, it is easy to follow the instructions to find quizzes that would work for your niche. Brainstorm what your audience would like to know more about. Make the results fun and focussed on the quiz taker. The more fun, personal, and interesting the results, the more people will share. Now I will show you a few of the steps I took to create my quiz. Below are the options when you want to edit your quiz. 2) then working on and editing questions and results. 4) share the quiz on social media and embed the quiz on your website. When you click on each step, you will be prompted and find the information you need to create a successful quiz. The next screenshot is what is looks like when you are editing the quiz questions. There was a question that I didn’t really like, so I clicked on the question on the left hand side and deleted it. I could also change the question and edit the answers and images if the format still worked. What is nice about the template is there is a framework already created and it can inspire other material you would rather have. As you can see below, when 3you make edits, you can see the changes live. The next screenshot is a results page. At this point I had added the result and an image (with a source). I then added a results description. Another cool feature of the result’s page is a call to action button at the bottom. You can link that button to a product, a group, a post on your website or anything else that you would like. This results page is shareable on social media platforms. Notice that I changed the color of the button, which makes the quiz feel seamless from the color and feeling of my personal website. As you can see, the possibilities are endless and the platform is ready to help you and your reader. 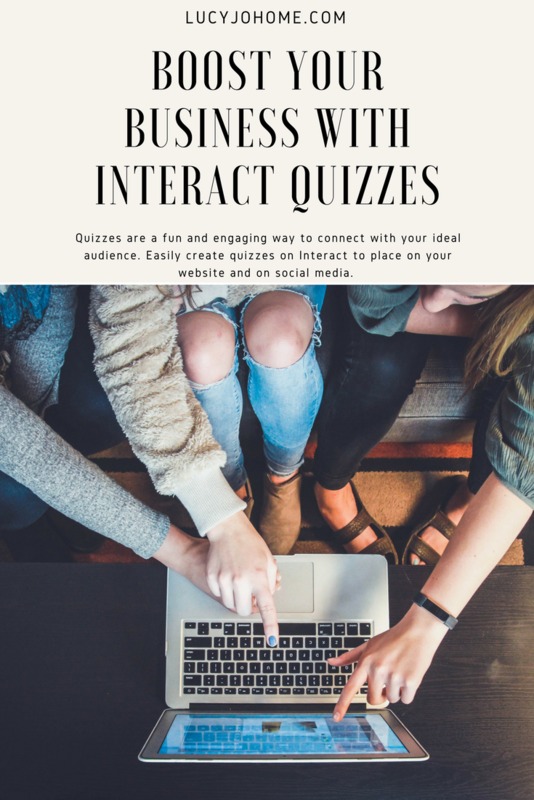 I have been impressed with Interact Quizzes because it is easy to use, it is engaging for a modern audience and can be a teaching tool as well. I have been able to get the support I needed to make a quiz, and I know that there is even more information available to me to improve my quizzes and my conversions. When I first started, I started with a free 14 day trial and I used a template. It was easy to create the quiz, but I knew I wanted more creative control over the look and feel of the quiz. Later, I created a more robust quiz that had some template questions and some of my own questions. I added more results that were specifically geared to helping my readers. I spent time finding good images and even more time writing the questions and results descriptions. I want my quiz to be as accurate as possible, so I spent a lot of time thinking of connections between design styles, personalities, and lifestyles. I plan to continue working on the quiz so that there are less options per question to decrease the time it takes to get results. There are several more quizzes I want to create for different topics that I write about on my website as well. I also want to use Facebook ads in conjunction with the quizzes I make, to connect with a larger audience. Now I have something that my readers can engage with and learn from. Below is the prompt for my “What’s Your Decorating Style” quiz. I hope you will take advantage of this powerful tool (Interact) to help your business! There are many pricing packages with specific features to make your quiz creation and sharing easier. For a full comparison of Interact‘s plan options, click here.